And Ava DuVernay reveals that A Wrinkle in Time’s protagonist was inspired by her niece. 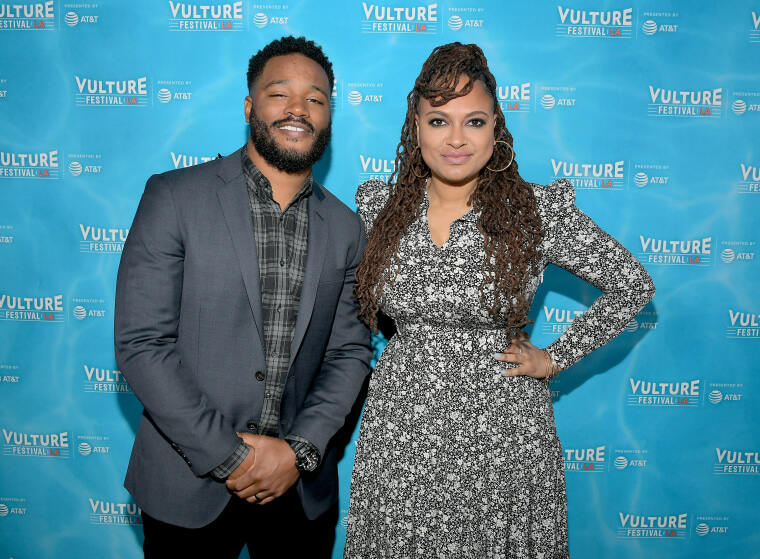 In a new Vulture interview, Black Panther director Ryan Coogler and A Wrinkle in Time director Ava DuVernay discussed the challenges and triumphs of working on the two forthcoming blockbusters. When asked what it would be like to see their own movie at age 10, each director had a moving answer. "I couldn’t imagine it. Man, when I was 10, I remember being fired up that they were making a Ninja Turtles movie! When I was 10 years old, I wouldn’t have thought there would be a black president, you know what I’m saying?" Coogler said. "I’m making this film for my 10-year-old self every day, and simultaneously for my 31-year-old self … We’ve got to do our part to keep pushing things forward, and to see a movie about someone who looks like me, who’s a king and knows his ancestry to the beginning and has an army of incredible folks around him who believe in him? I don’t know what that would have done for me when I was 10 years old." DuVernay said her vision of Wrinkle's protagonist Meg was inspired by her teenage niece. "I have a niece who’s 13 who I call the real Meg," she said. "I put the topknot on Meg and the glasses, and the way that she dresses is exactly like my niece Molly. Like, there’s a picture of Molly and I gave it to the costume designer and said, 'This is what she would wear.' I want her to see all that’s possible and not have to wait until she’s 32 years old to figure it out. She should be able to know that you can walk through any door and even if the door is not there, if you start walking toward it, it will appear for you. So that’s my goal, and not just for black girls but for all kinds of girls, and not just for girls but for boys, too. To be able to see the possibilities and understand that a hero doesn’t have to be defined so normally." Black Panther, starring Chadwick Boseman, Lupita Nyong'o, Michael B. Jordan, Daniel Kaluuya, Forest Whitaker, and Angela Bassett, comes out February 16, 2018. A Wrinkle in Time, starring Storm Reid, Chris Pine, Oprah Winfrey, Reese Witherspoon, and Mindy Kaling, will be in theaters March 9, 2018.